Bank & Credit Union “Branches of the Future” have smaller footprints. They typically have occupancy ratings of 50 people or less, are trending, and prefer single lane Safety Entrances® over multi-lane. A single lane Safety Entrance® may be the perfect fit for bank and credit union branches with smaller footprints. Along with requiring less space, Isotec’s single lane entrances are more economical. Isotec uses a special, DHS Certified Ceia column metal detector, which is specifically configured and designed for our Safety Entrances®. The column metal detector provides and open and spacious environment for bank and credit union customers. The metal detector is certified to be safe and effective by the Department of Homeland Security. Isotec’s single lane Safety Entrances® are bi-directional and proven effective in detecting guns being brought into a building. 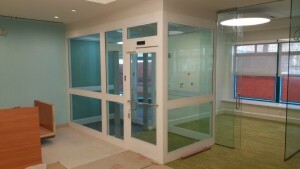 Whether coming or going, the entrances are configured to meet any branch’s safety & security needs. Isotec sales engineers design and configure single lane Safety Entrance® to protect bank and credit union employees and patrons. 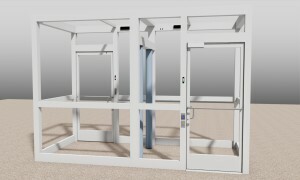 We are the only manufacturer in the country that uses Ceia’s column metal detectors with our interlocking door systems. Did we mention we’re SAFETY Act approved? Below is a finished product photo and its project rendering for a bi-directional single lane Safety Entrance®. Click on the photo for a brief video detailing the Ceia Column Metal Detector. 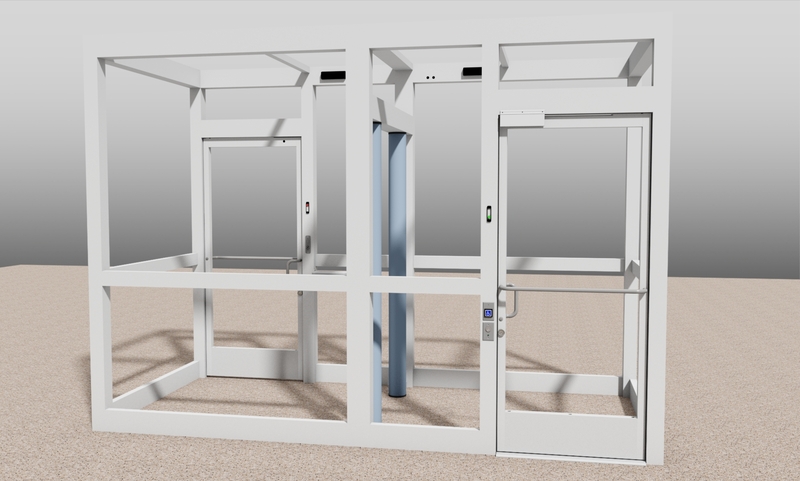 This entry was posted in ANSI & ADAAG Products, Banks & Credit Unions, Uncategorized and tagged Access Control Vestibules, Interlocking Doors, Security Vestibules, Weapons Control Portals. Bookmark the permalink.